Fits all 1960-2003 Ford models. Oval single quad air cleaner assembly. 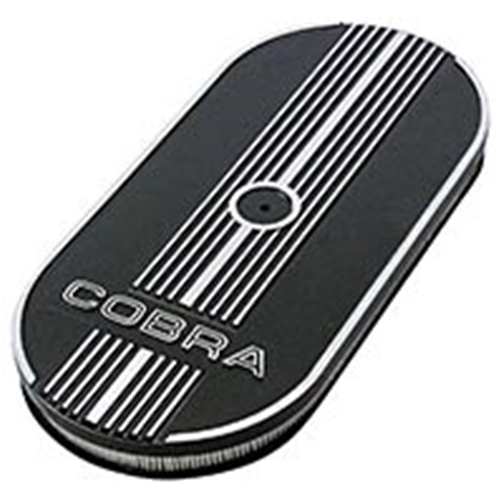 Black wrinkle finish with trim stripes and Cobra open lettering in brushed metal finish.